How to use social media influencers to market your hotel? Home Blog How to use social media influencers to market your hotel? Influencer marketing is a powerful way for any brand to connect with new audiences; they are the celebrities of the digital era. Influencer marketing is rated as the fastest growing online customer gaining method. An influencer is someone with a significant following on their blog or social media channels. Influencer marketing is valuable for lifestyle and hotel who are aiming to build their identity. While finding the influencer, you need to understand your audience statics. An influencer with number of followers and levels of engagement are plus. There are multiple social media tools that you can use to discover influencers. Finding influencers are more challenging, because you probably don’t have a relationship with them. 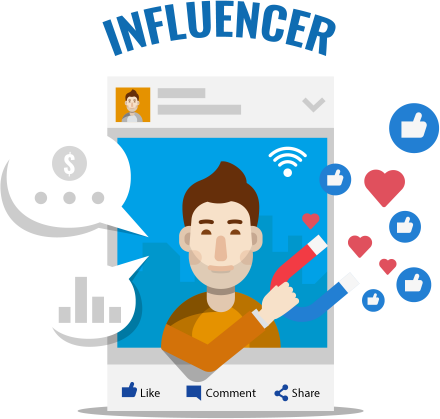 Influencer includes journalists, photographers, bloggers, vloggers, social media influencers, celebrities and other high profile people who have large followings. Engage regularly with your influencers to improve the customer service, brand loyalty and positive brand awareness. Host a group of social media influencer for complimentary stay. Host an event for special interest group in your area. During the event, encourage them to post live updates on Facebook, Twitter and Instagram. Contest can be a great way to encourage people to post and share content about your hotel. Follow influencers on their most popular channels; earn their attention and appreciation by sharing and commenting on their content. Offering guest experiences isn’t a great way to boost in-house programming, but also a great way to partner influencers for additional exposure. Hotel promotes the influencers, and the influencers also promote the card.